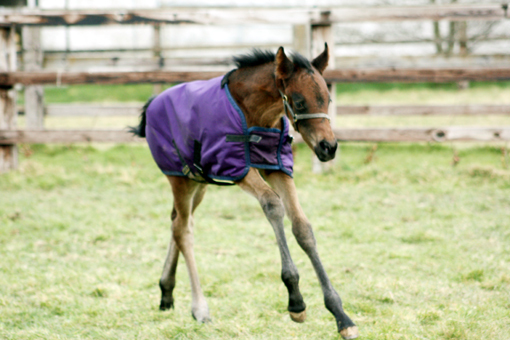 It is still very cold but at least the foals have started to arrive. 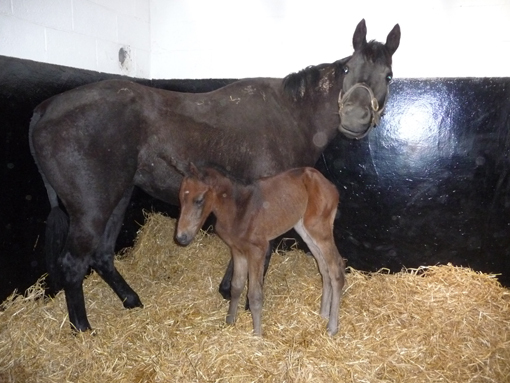 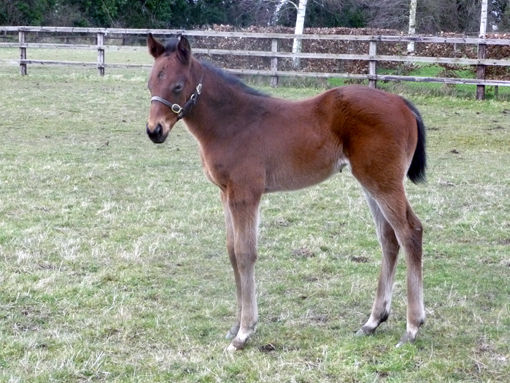 The Acclamation filly out of Sogno Verde is now three weeks old and growing very nicely. 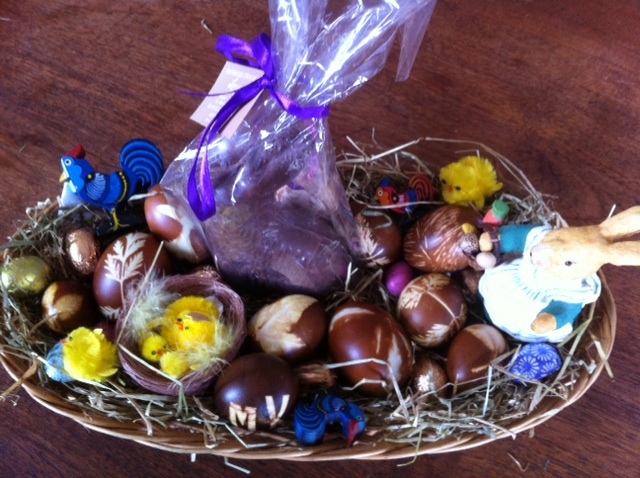 Easter Greetings to all our readers! 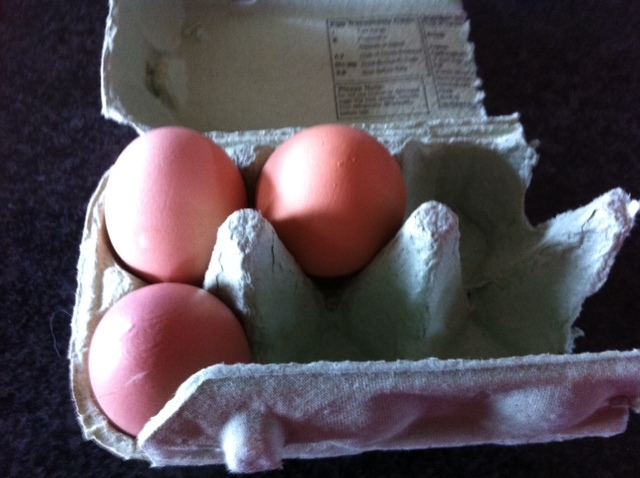 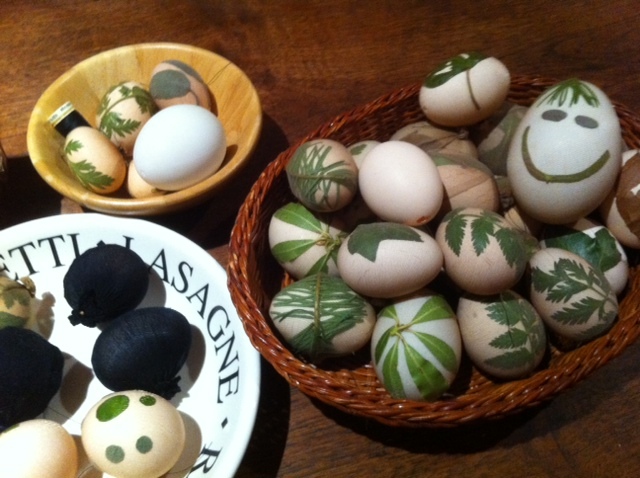 Melissa helped us to turn the eggs from their natural state into the pretty Easter variety! 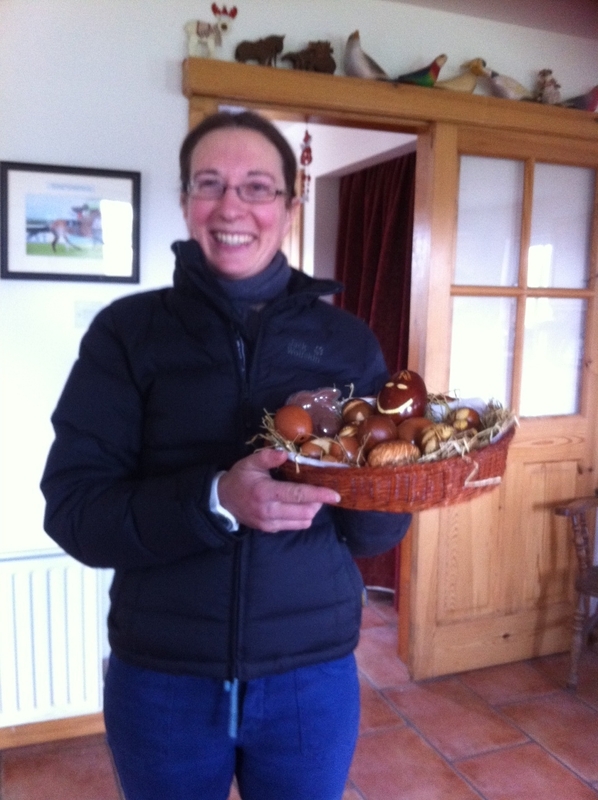 Good fun was had by all! 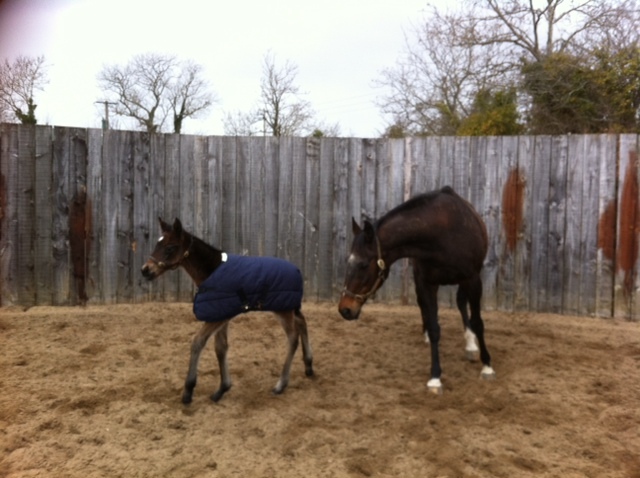 Theola with her newborn colt by Elusive City and two days old (middle), Khatela with her one day old filly by Lilbourne Lad (right) and Third Dimensions Arcano colt is practising (above, big pic). 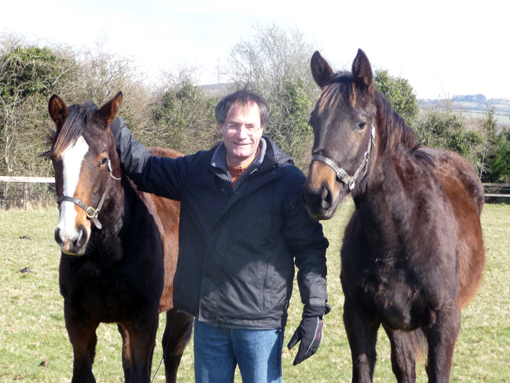 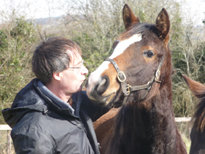 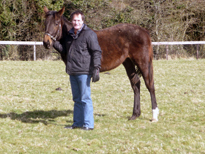 Rolf Schmid and his two yearling girls by Areion (left) and by Lawman.